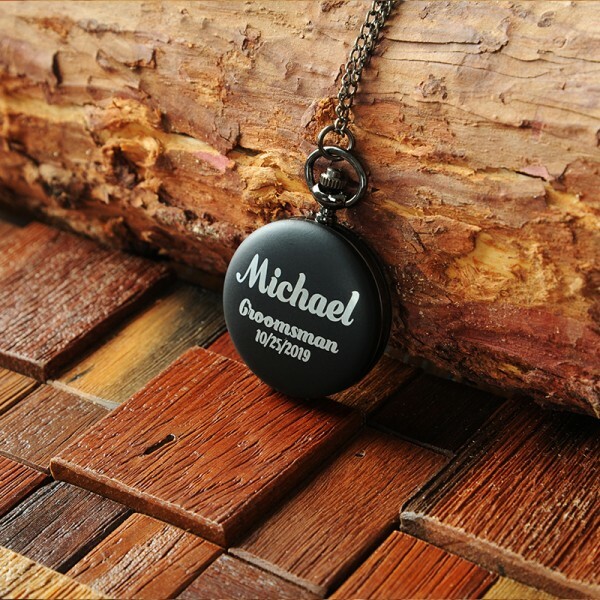 Offset black face, white name or initials, date and other personalization you want. Free laser engraving is available. This was the perfect gift for my son. It arrived and looked so amazing! Looks great, impressed with the quality. Good service and fast international delivery. Was made and delivered in a timely manner, a pleasure to work with the seller. 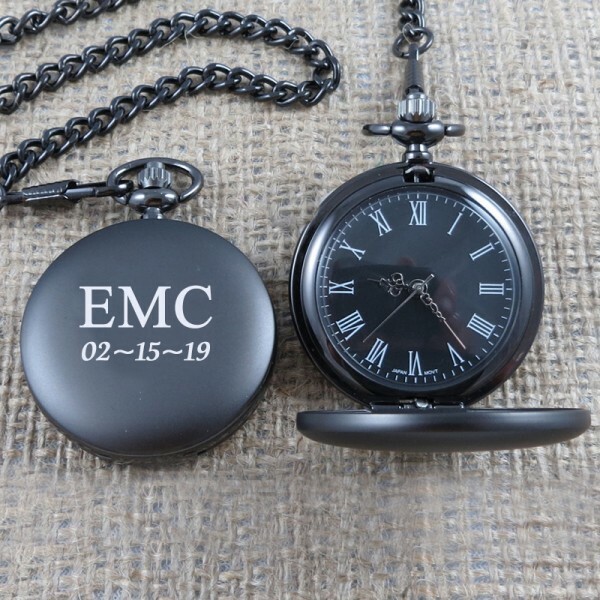 Turn around time was so quick and the pocket watch is exactly what we were looking for. Thanks so much! It was even nicer than was expected. The person who received it was overjoyed by the quality and look. 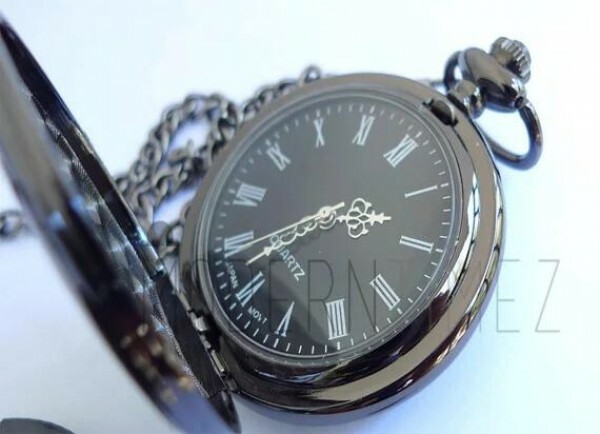 The pocket watches we ordered turned out great and came really quickly! These are amazing. My sons are going to love them. They are ty wedding gifts for my best men. an amazing vendor to order from. 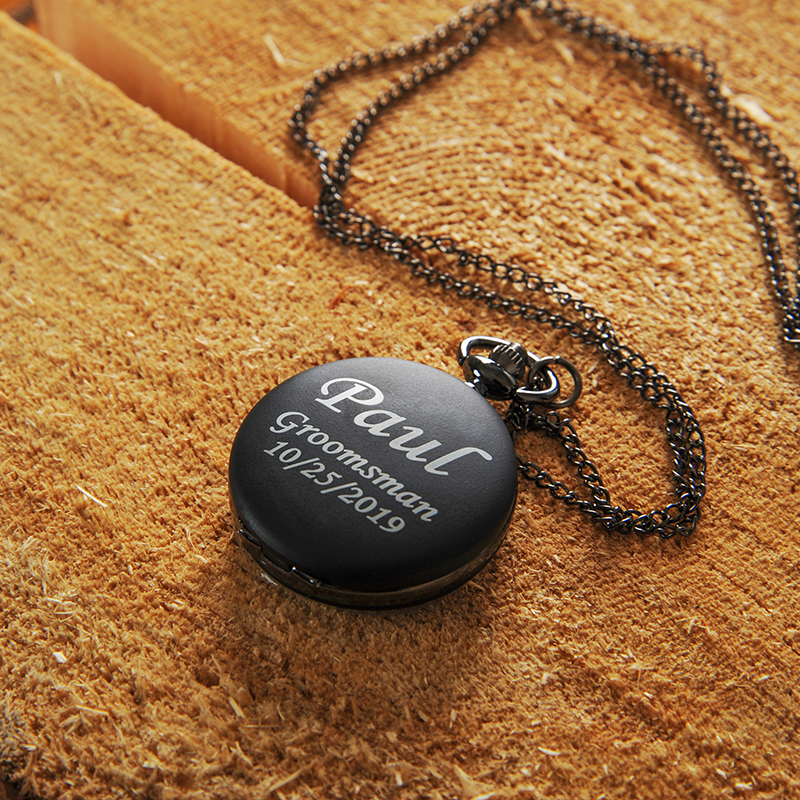 Our groomsmen were so impressed with this gift, but honestly the true value came with the service we received. We messaged the owner to see if we could make special requests regarding initials on each cufflink before we ordered. Not only did he do exactly what we requested, he was in constant contact to make sure we had exactly what we wanted. He also assured they were shipped in time for us to have time to wrap them before the wedding. 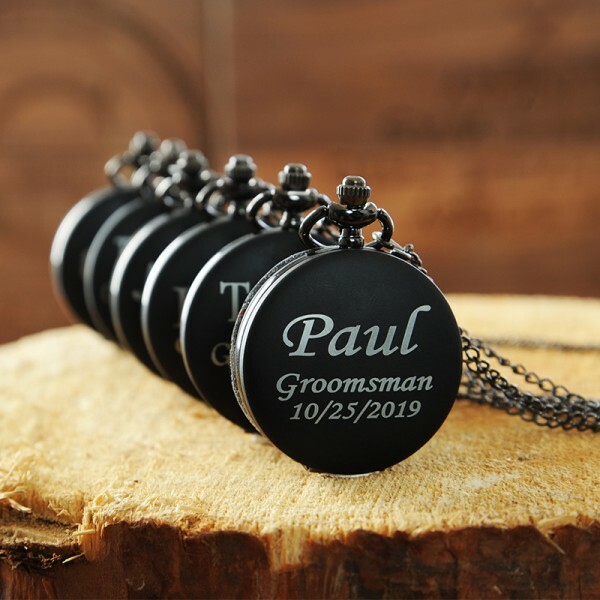 My husband loved the quality, and the groomsmen looked amazing. 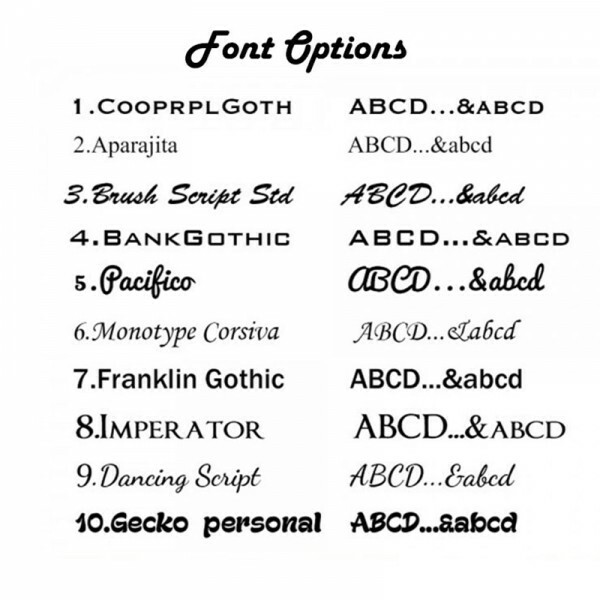 Overall, an amazing vendor to order from. These are beautiful and the loveliest gift. Was made and delivered in a timely manner, pleasure to work with the seller. Arrived quickly and they are awesome! This was perfect for my Step son! Thank you. 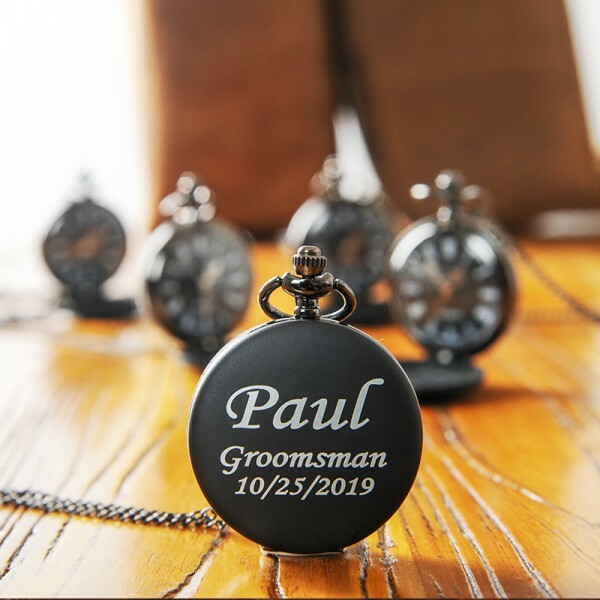 Question about Personalized Groomsmen Pocket Watch is Successfully Submitted.